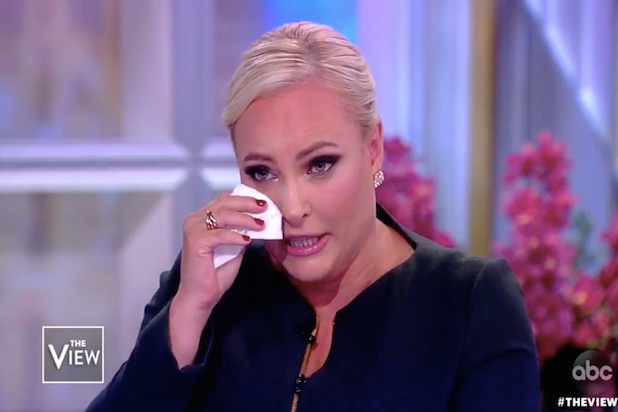 Meghan McCain made an emotional return back to “The View” where she has been absent since her father Sen. John McCain passed away in August. McCain thanked her co-hosts for all their support’s during her father’s yearlong fight with brain cancer and used her return appeal to unity in the United States. “I understand how divided and how scared lot of people are. It looks like the fabric of democracy is fraying. We do not surrender, I’m not surrendering, so you have to join me in not surrendering,” she said. McCain also took a veiled swipe at Trump, who clashed with her father in his final years. When someone “says something racist at a rally you push back. 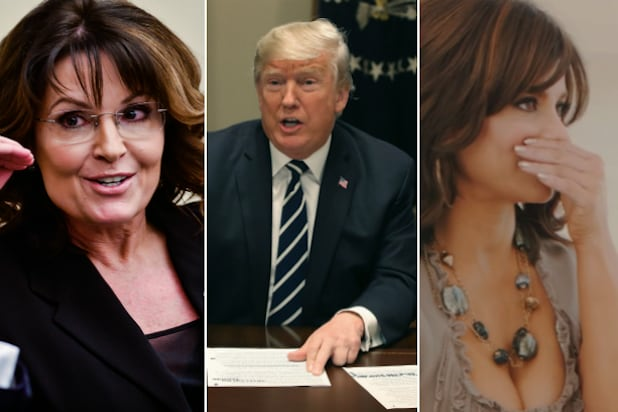 That is what America is,” she said, a reference to a moment during the 2008 presidential campaign when Sen. McCain defended Barack Obama from a racist smear by one of his supporters. Trump has often been accused of peddling racism by his critics. She gave a particular shoutout to co-host Whoopi Goldberg, who she said her father always loved and whose dressing room she would often cry in as Sen. McCain’s illness progressed. Once a surrogate for her father’s campaigns, Meghan McCain emerged as a personality in her own right as a host on Fox News and then on “The View.” She remains the primary Republican on the show’s panel, but has not been shy about continuing her father’s legacy of disagreeing with Trump.